48% of small businesses don’t follow software and app updates cyber advice. Yet the impact can be significant with 89% of small businesses experiencing a reputational impact following a cyber attack – the cost is more than financial. In this blog we look at systematic approach to securing your business from a data breach – whether accidental or malicious. As an additional incentive to get serious about information security, the GDPR require organisations that process personal data to implement appropriate technical and organisational measures and be able to demonstrate that processing is performed in accordance with the regulations. The fines are very considerable for non-compliance and / or experiencing a data breach – up to €20m – eye watering. A systematic approach needs to be led and driven by one of the organisation’s management team and reach out across the organisation. Our approach is founded on the information security guidelines from the National Cyber Security Agency. Technology: your computer systems, networks and data storage that need to be configured and operated in accordance with the security policies. An IT representative – could be an internal person or a senior person from your IT Services Provider. 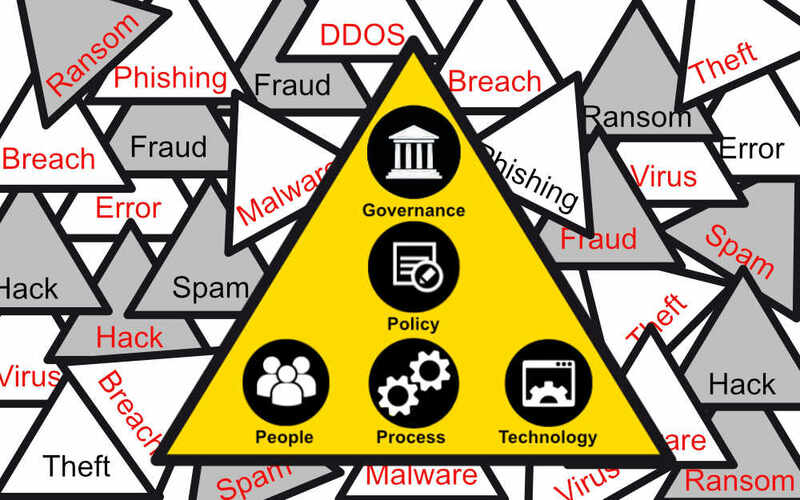 The mandate of the Information Security Governance team is to ensure the security of your information and to provide the central response focus and leadership in the case of a data breach. IT systems and information management: Policies cover all aspects of IT management and security including monitoring, firewalls, security and encryption software, workstation build, software and cloud services, information storage and backup and WiFi networks. Failure to use BCC when sending email. How much do your staff know and how aware are they of the dangers? Your staff exit process should ensure that any IT assets are recovered from leavers and access privileges revoked. Finally, we come to technology – a place where many organisations start…. and end. Monitoring.Continuously monitor computers, networks and software to enable early detection of security issues. The size of your business is almost irrelevant in developing a cyber security defence plan as every business needs to protect itself. 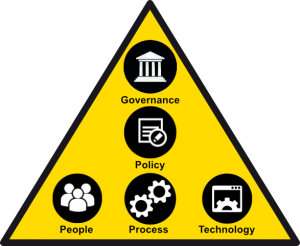 Obviously, the scale and scope will vary, but you do need to cover all the elements – governance, policies, people and technology.